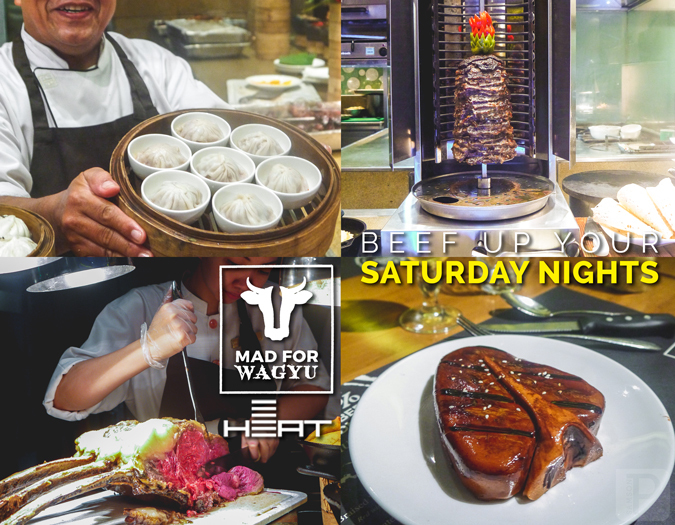 Home / buffet / edsa shangrila / food / heat / hotel restaurants / mad for wagyu / mandaluyong / restaurant reviews / steak / The Foodie / wagyu / Beef Up Your Saturday Nights with Heat's Mad for Wagyu Buffet! 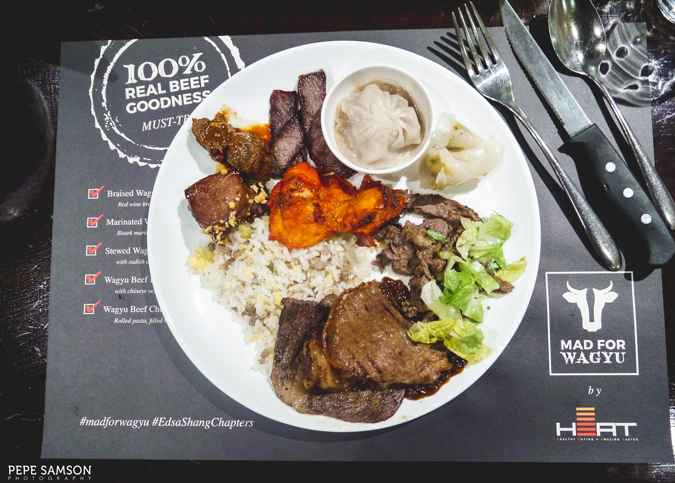 Beef Up Your Saturday Nights with Heat's Mad for Wagyu Buffet! I don’t know about you, but whenever I’m dining in a buffet restaurant, I always go for the most expensive items in the spread: the steaks. 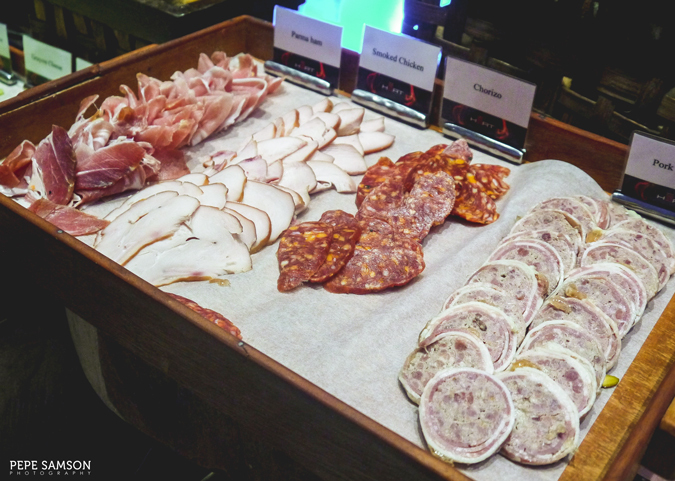 Over the years, I’ve developed a “formula” for places such as Vikings and hotel restaurants—I would usually head first to the cold cuts and cheeses, followed by a plate of sushi and sashimi; next, a few more appetizers; and, when my tummy is all fired up, I would make a beeline towards the carving station and indulge in roast beef, rib eye, lamb, or whatever is available. My personal philosophy is that these are the dishes I don’t get to eat every day, so I tend to ignore Filipino and Chinese food, rice included. 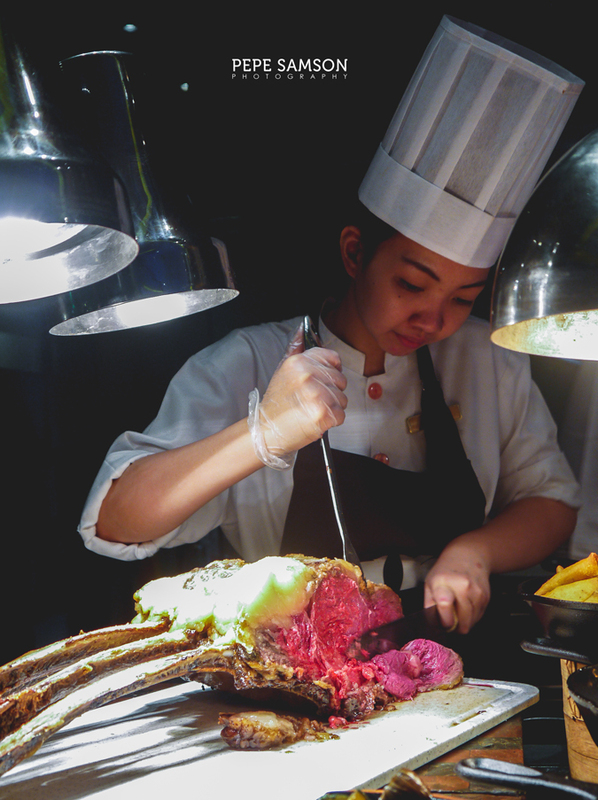 Imagine my excitement when Heat at Edsa Shangri-La Hotel launched their newest buffet offering last Saturday—the Mad for Wagyu! I repeat, WAGYU. 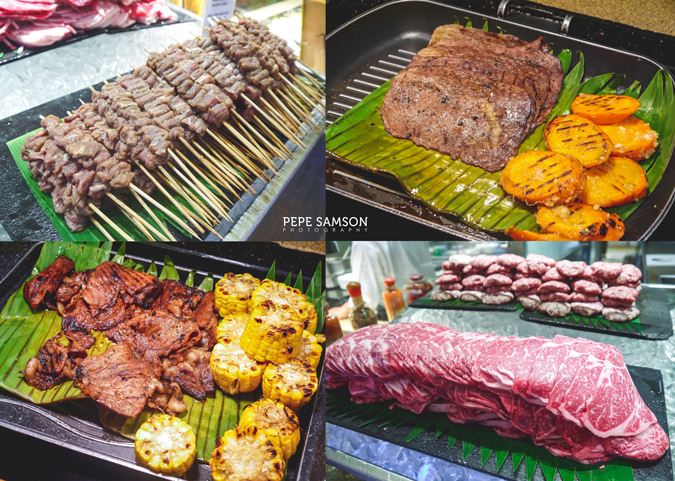 A beefy feast consisting of special dishes made with wagyu! Only a few weeks back they introduced us to a sumptuous lobster night at their all-day dining restaurant, and now this! Wagyu beef is highly popular—and sought-after by foodies and chefs—because of its incredible marbling, a premium type of meat with intra-muscle fat (instead of subcutaneous) that gives the meat a very tender quality (sorry for the technical terms, promise I didn’t Google this, LOL). 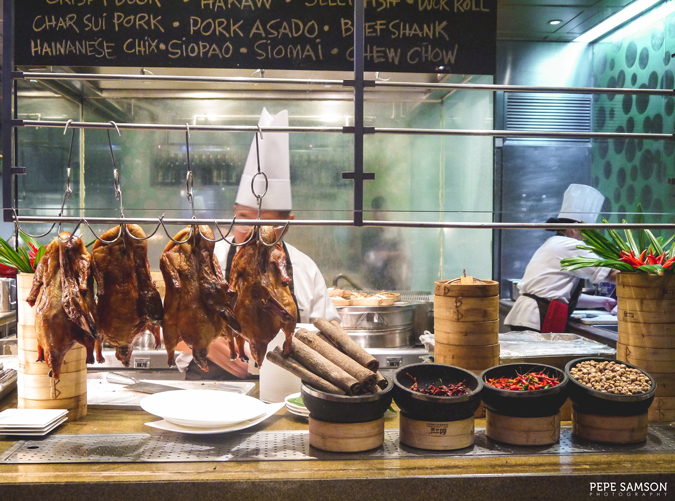 Everything we devoured that night was a testament to this—the wagyu beef jerky was so easy to chew, the tomahawk steak was melt-in-your-mouth, the xiao long bao simply slid in our tongues. But I’m getting too ahead of myself. 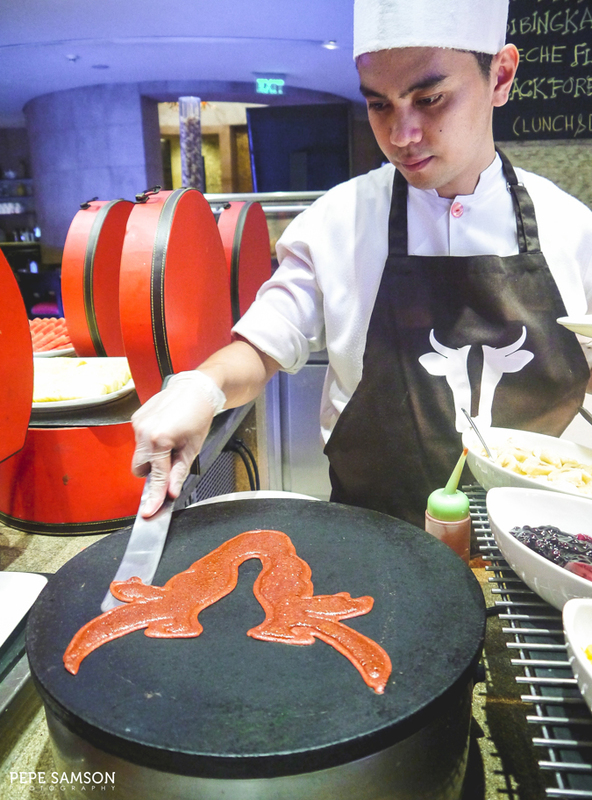 Let me take you instead to a visual tour of Heat’s Mad for Wagyu buffet spread. For appetizers, Heat offers special rolls made with wagyu—I loved the Cheesy Gyu Roll (right) which was beefy and creamy. It was like eating a cheeseburger ... with rice, LOL. Salads with strips of wagyu mixed in are also available, as well as Wagyu Beef Tartare and Wagyu Panini. 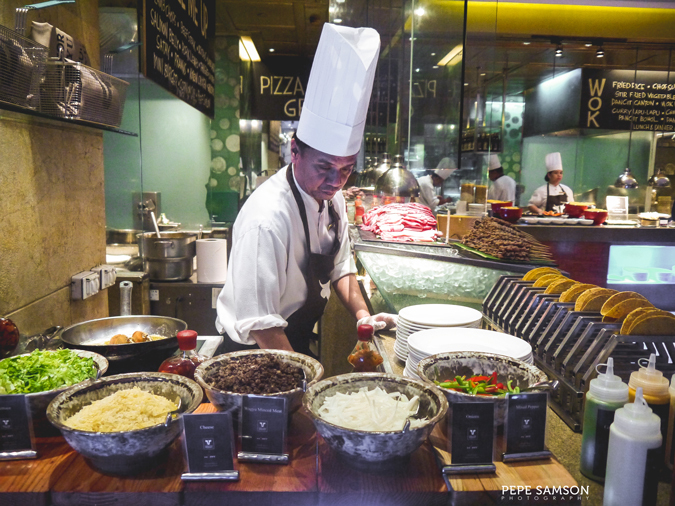 If you’re craving for some Mexican flavors, the taco bar features minced wagyu beef in lieu of ordinary beef for your taco. Have it topped with onions, tomatoes, grated cheese, and guacamole, then choose from the assortment of homemade sauces. 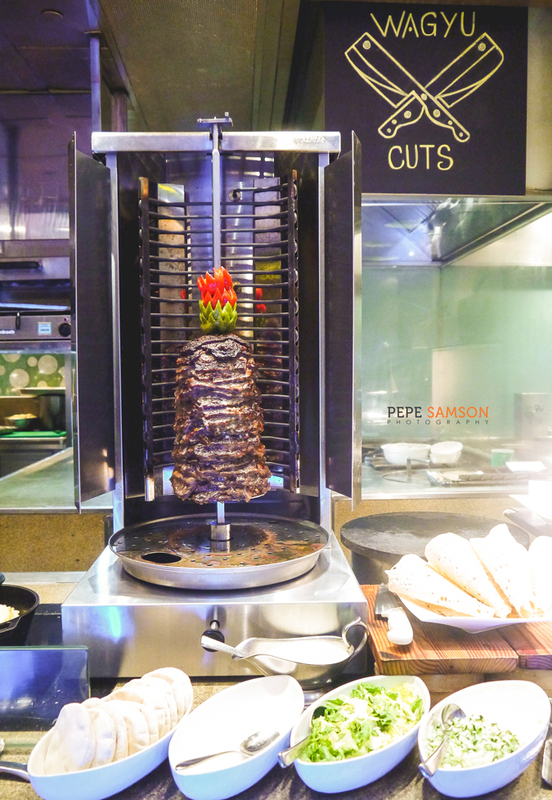 For a slice of the Mediterranean, head over to the shawarma station, which also features wagyu! I was reserving stomach space so I didn’t get the pita bread, and instead ate the Wagyu Shawarma mixed with some shredded cabbage and sour cream, like a side salad. 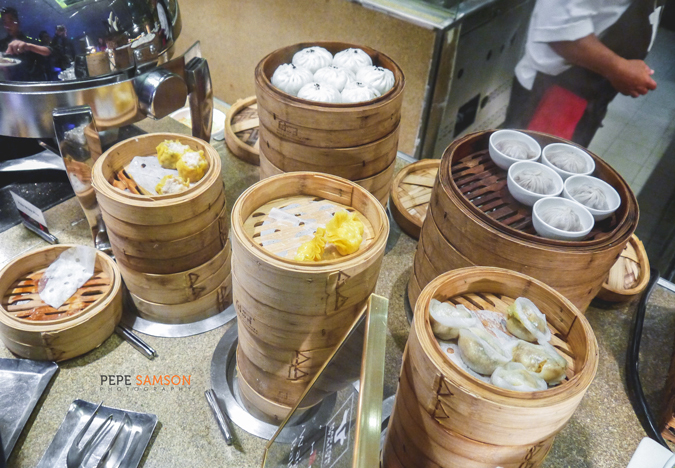 The Chinese station showcases even more wagyu creations: Wagyu Pao, Wagyu Xiao Long Bao, and Wagyu Asado, to name some. 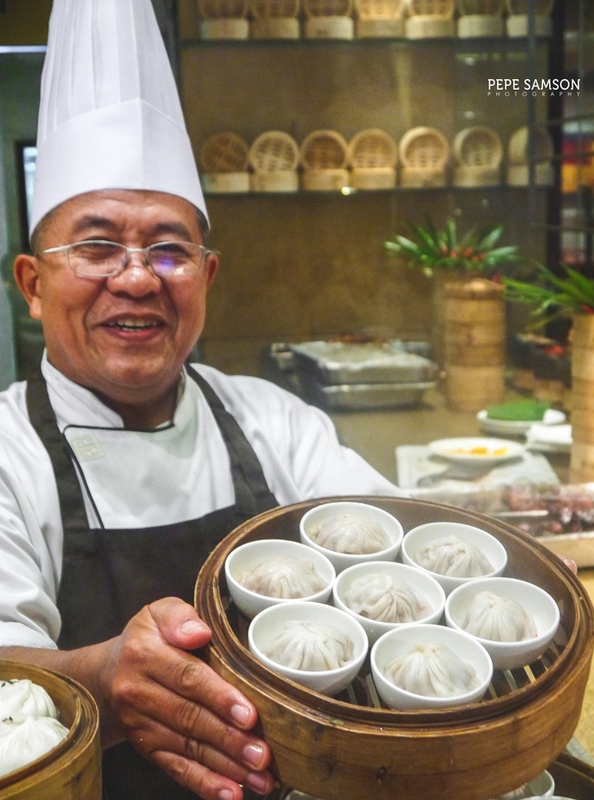 Among the three, my favorite was the xiao long bao—minced juicy, fatty wagyu beef encased in dumpling wrapper filled with a rich soup. Addicting! At this point, you might be full with all the available appetizers, so it’s important that you manage your pacing. Then a server came in carrying a plate of what looked like crispy bacon strips, and the room erupted into shrieks. 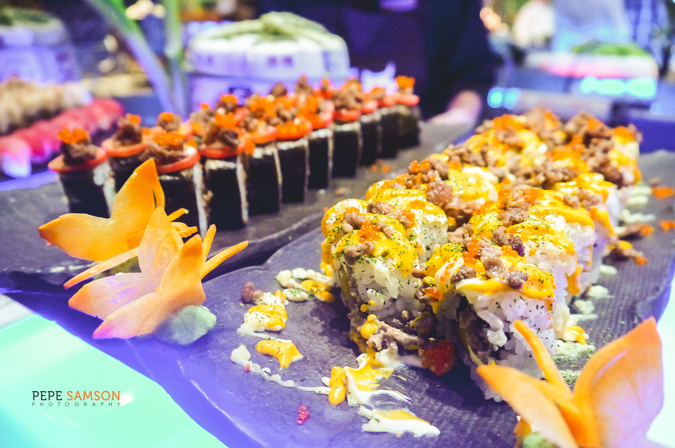 Everyone assailed the server—or the plate he was carrying, rather—because of the Wagyu Beef Jerky! Thinly sliced wagyu beef that’s crispy, salty, sweetish, and slightly spicy. OMG. I actually hate those beef jerky things my officemates insist on bringing home whenever they visit Singapore but this one from Heat was so delicious! For mains, there are a lot of options to choose from. 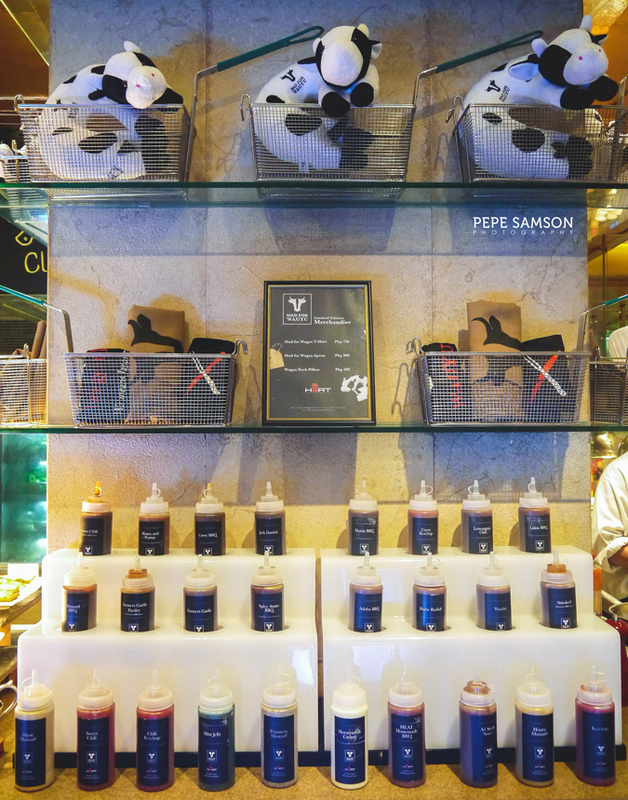 The carving station features roast beef and a Wagyu Tomahawk Steak that everyone definitely lined up for. As if the huge slab of meat wasn’t enticing enough, the smell of it as it was being grilled or seared teased our appetites even more. Like any steak, you can choose to have it cooked according to your preference (I like mine medium rare to medium), then put some mushroom sauce on it. I didn’t, and instead went over to Heat’s impressive sauce library, which showcases homemade specialty sauces—from Laksa BBQ to Honey Truffle Mustard!!! BYE! 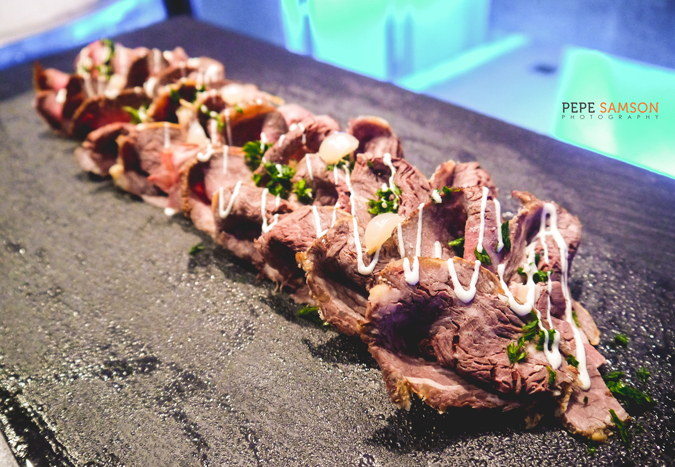 Marinated wagyu beef slices are also available in the Grill Section, and you can choose from salt-and-pepper flavored ones to other cuts with other seasonings. I loved the marinated sirloin—doused with Honey Truffle Mustard, of course. 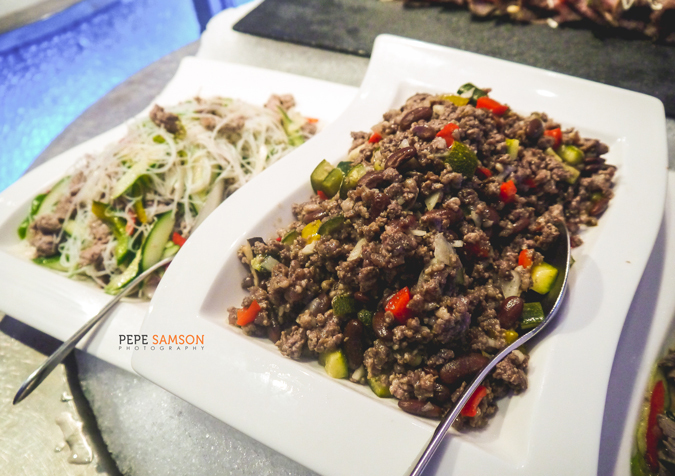 I also liked the Wagyu Beef Ghoulash with square-ish cuts of the meat—very savory and flavorful, and familiar to the Filipino palate. The slow-cooked Braised Wagyu Beef Cheek was good too. For something Italian-inspired, try the Wagyu Beef Cheek Cannelloni. There was also some Roast Beef in the carving section. 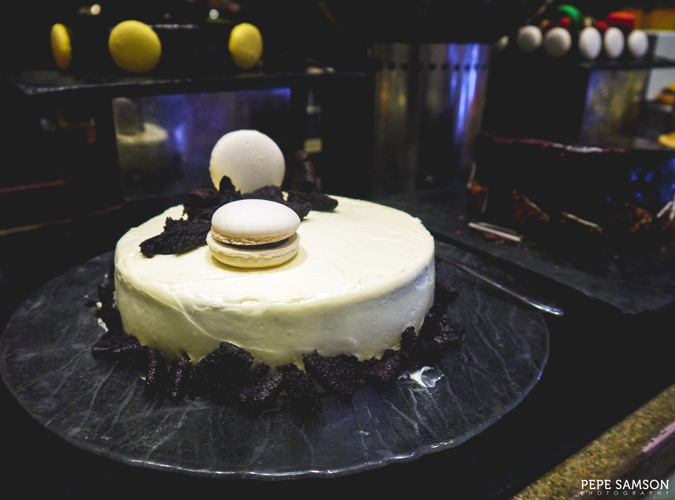 Even the dessert choices didn’t escape the chefs’ creativity. There’s a Wagyu Chocolate Crepe among the selections, as well as a cute T-Bone Cake—which looked like a steak but was actually a red velvet cake! Yummy! 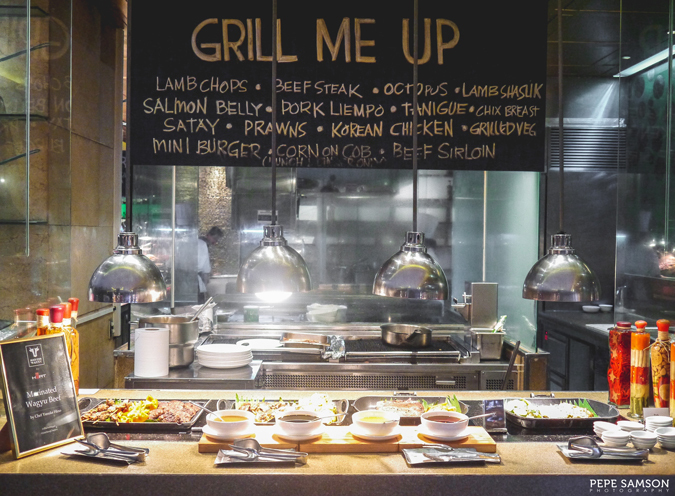 Of course, aside from the abovementioned wagyu dishes, Heat’s regular buffet selections are still in place. 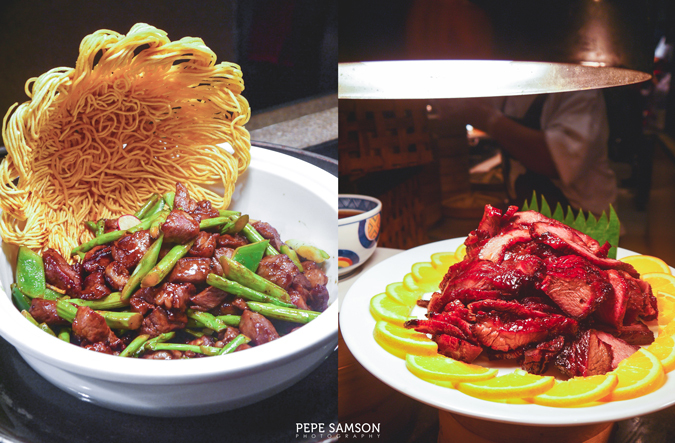 The Chinese station is especially extensive, as well as the mains selection which offers tikka, coffee spare ribs, and many more. 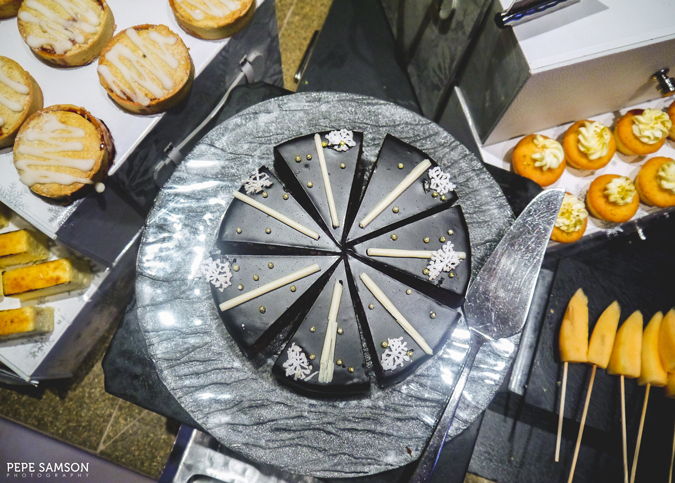 The dessert section is just as impressive with its wide variety of cakes and pastries. 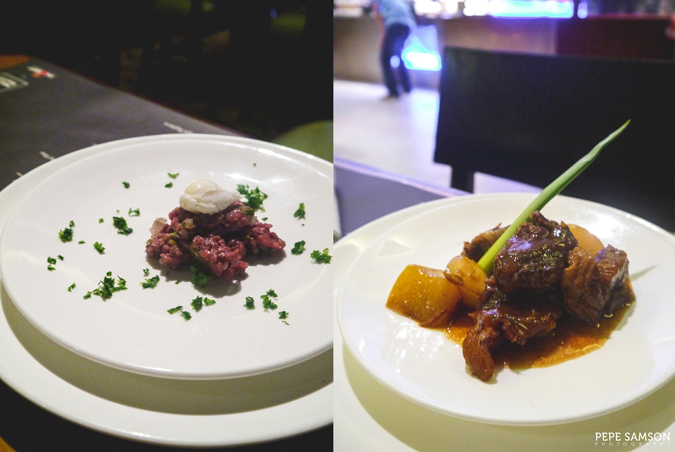 For fans of Heat Restaurant and for lovers of beef, Mad for Wagyu is a not-to-be-missed offering of Edsa Shangri-La. 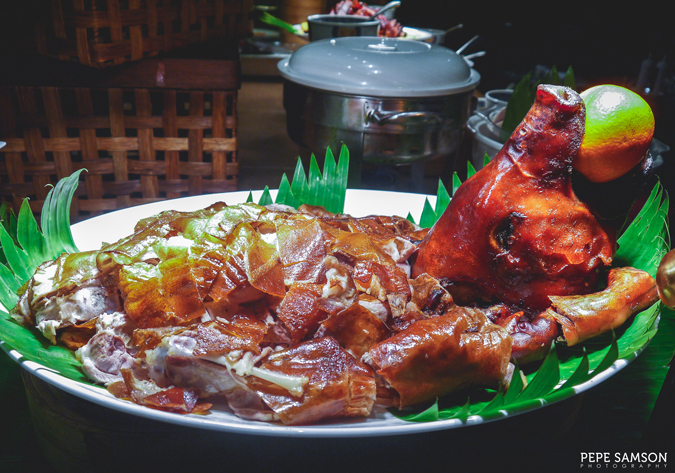 It’s available for PhP2,415 nett every Saturday dinner until the end of 2016, so whether it’s a family celebration or simply a mad craving for sumptuous meats, you have a reason to trudge by this hotel in Mandaluyong. I highly recommend bringing friends or family with you, as great food such as this is better shared with people who have the same passion in eating as yours. 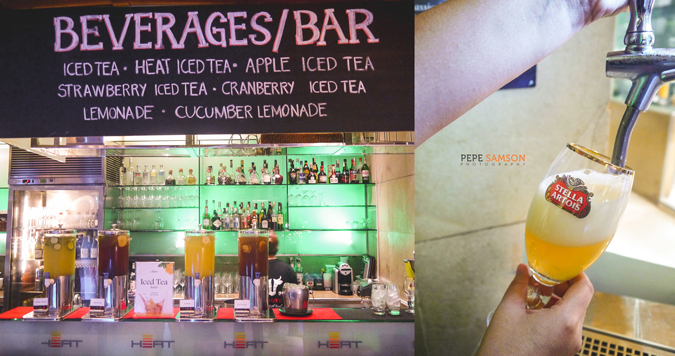 Add PhP700 for unlimited Stella Artois draft beer, and bring heaps and heaps of appetite! 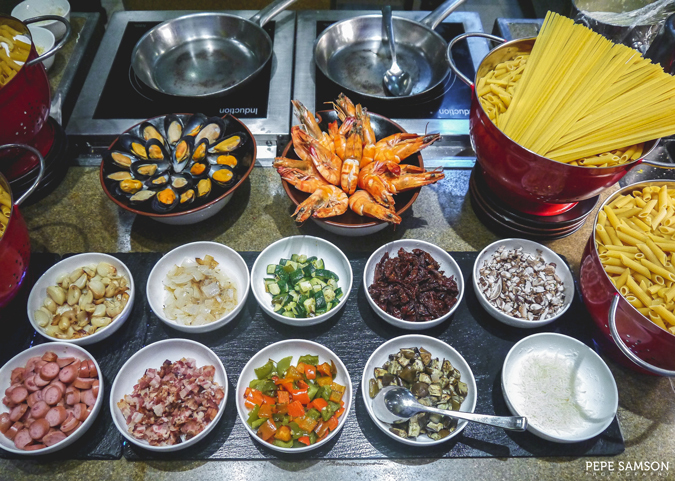 Do you love buffets? How about wagyu? 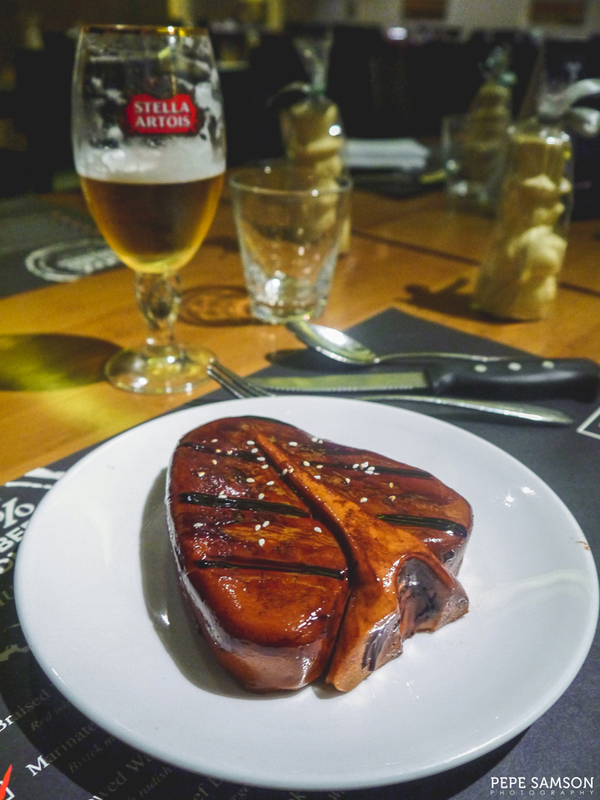 Excited to try Heat's Mad for Wagyu? 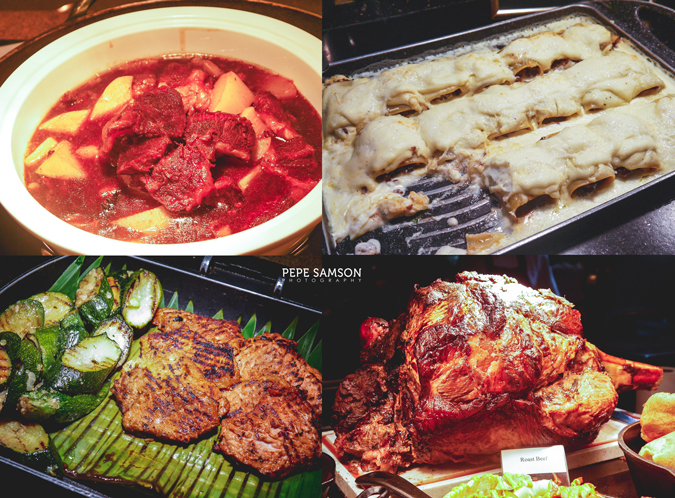 My meal was sponsored by Heat, Edsa Shangri-La. All opinions, however, are my own.